Make power measurement a cinch. The brains of Easton's spindle-based power measurement system comes down to this CINCH Power Meter Road Spindle. Designed to pair with Easton's EC90 SL Crankset, this spindle easily accepts 1x or 2x direct mount chainrings, providing unmatched versatility. 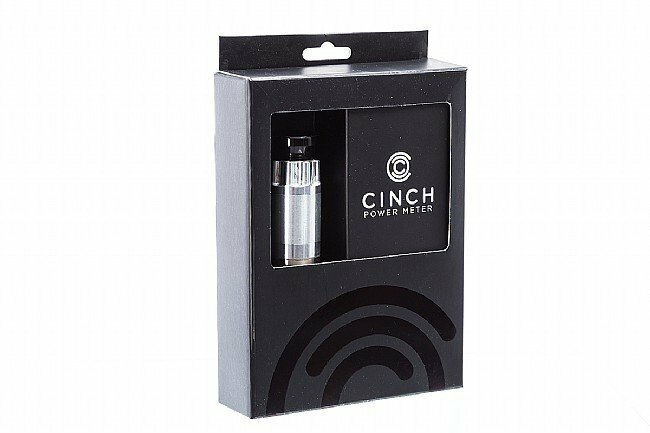 Bringing in your smartphone, the CINCH App allows you to view battery levels, install updates, and calibrate the power meter on the fly. From cyclocross to criteriums, road races to mountain rampages, nothing gets in the way of a good ride with better metrics with Easton's EC90 SL. The Easton CINCH Road Power Meter Spindle is only compatible with the Easton SL90 Cinch Crankset, allowing for 1x or 2x setups.